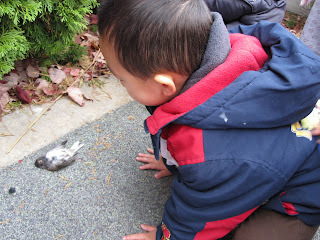 a garden: "birds die too." 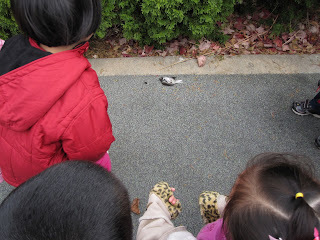 last week we discovered a dead sparrow on our playground. i was hauling the balls out when a few of my children started shouting for me. "ms. wendi! ms. wendi! something happened!" the bird have no jacket. he no have mommy, no have daddy. he no have friends to take care of him. he fly too high, and he die. he fall down. he's dead. he's mommy, daddy sad. i'm so sad too. we'll miss you little bird. his heart is broke. 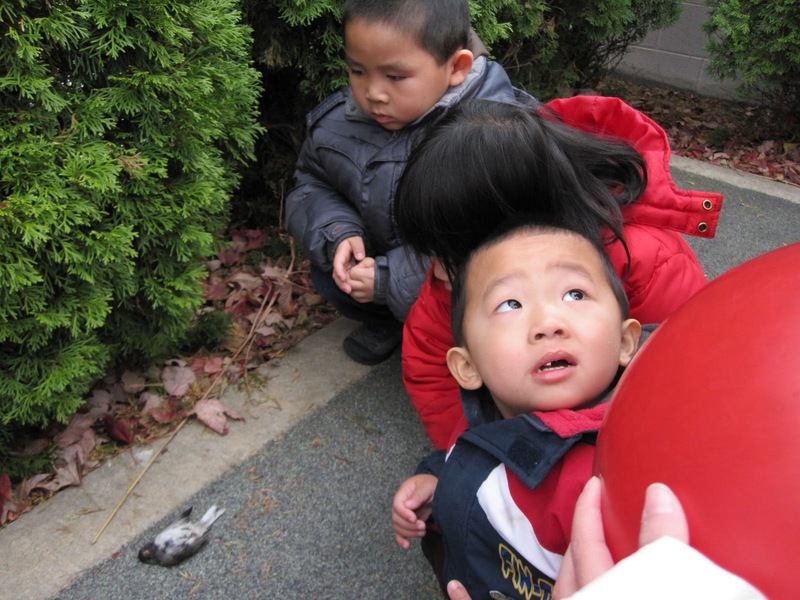 birds die too. it was too icy cold and no one to take him worms. no one to take care of him, that why he died. it was very touching to see those sober little faces gazing at the bird and then looking to me, and expressing their ideas, confusion, sadness. 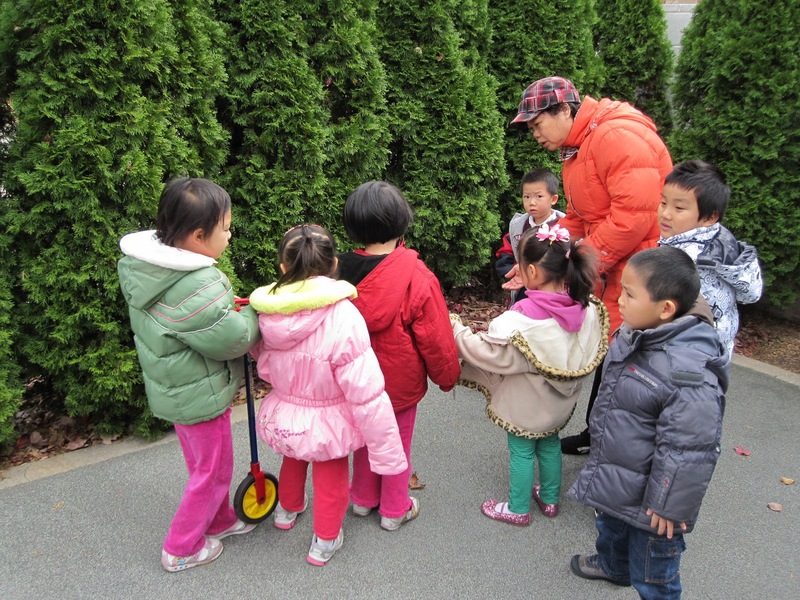 most of them stayed for the entire thirty minutes of our allotted playground time. death is a profound topic for young children, and the language barrier between the kids and myself forced me to take it back to the simplest ways of explaining it: he was too old, or too sick, or too hurt, so his body stopped working. no, he isn't sleeping. no, he can't be alive again. today at group time i read how to heal a broken wing, which is a sweet story about a boy who helps an injured pigeon, and i had every single one of my children entranced. the eruption of questions and comments after the story was finished was ferocious: ms wendi! why we not give our dead bird a bandage? 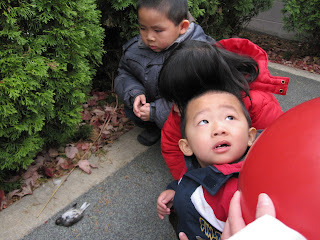 what happened to our bird? we need to take him to the doctor. 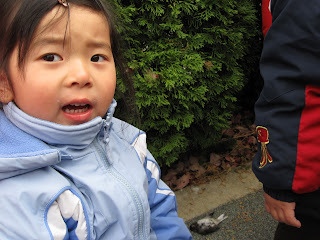 why that boy take the bird home? and angel remembered how she felt last week when we found the sparrow, and before she went to wash her hands for lunch she whispered to me "i so sad about the bird." oh, sweethearts. what a wonderful thing you did to take that moment.